U.N. Watch has criticized the chief UN human rights body for holding a minute of silence for late Venezuelan strongman Hugo Chavez. The Geneva-based human rights monitoring group U.N. Watch criticized the chief United Nations human rights body for holding a rare minute of silence Wednesday for late Venezuelan strongman Hugo Chavez. The Cuban-led praise was "excessive, uncustomary, and disrespectful of its own experts' findings of gross and systematic human rights abuses committed by the Caracas government, and of testimony by Venezuelan victims whom UN Watch had brought before the Council," U.N Watch said in a statement. "Protocol did not require today's ceremony," added executive director Hillel Neuer, "and the world body must not forget that its founding purpose is to defend basic human rights. Sadly, that message is at serious risk of being blurred today." "Now should be a time for the UN to show solidarity with the victims -- like Judge Maria Afiuni who was jailed and raped for the crime of releasing a political prisoner arbitrarily detained by Chavez -- and not with the perpetrators," he said. "Instead of praising an autocrat who persecuted his country's independent judges, journalists, human rights activists and students -- and who vocally supported mass murderers, tyrants and terrorists in Syria, Libya, and Iran -- the U.N. should be apologizing for having just elected the Chavez regime to its human rights council, and it should begin to call for accountability, reform and an end to impunity in Venezuela," added Neuer. In its entire history, the human rights council refused to adopt a single resolution on Venezuelan abuses, even though UN Watch and other human rights groups had documents and submitted to them a detailed draft resolution. However, some of the council's independent experts recently began to voice concerns about Venezuela's arbitrary detentions and restrictions on free speech, independence of the judiciary, and opposition activity, according to the monitoring group. The ambassador of Cuba -- which has declared three days of mourning for its ally Chavez -- led diplomats in Geneva in observing the minute's silence. Most recently, there were revelations that Venezuela’s intelligence service, SEBIN, was spying on the country's Jewish community. During the 2012 presidential campaign, state-run media urged Venezuelans to reject "international Zionism" and vote against Chavez’s opponent, Henrique Capriles Radonski. 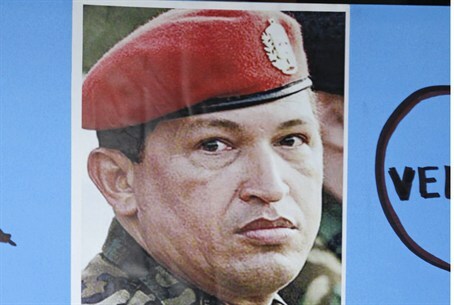 Chavez had also alleged that the Mossad, Israel's secret service, was plotting to kill him and accused the Jewish state of financing Venezuela’s opposition.